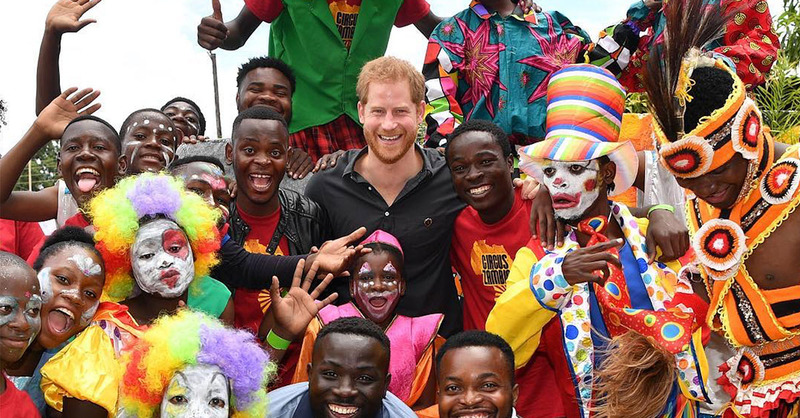 While on his short visit to Africa, the Duke of Sussex stopped by “Circus Zambia” to hang out with some of the colorful performers. As the father-to-be arrived, he shook hands with some clowns on stilts before he was treated to a high-energy performance by the circus members. Harry later gave a speech in praise of the circus and its service to the community and dedication to the Queen’s Commonwealth Trust, while mentioning his pregnant wife, Meghan Markle. So, where is the mother-to-be? Meghan decided to stay back in London and work on a few solo projects of her own. Last week she volunteered at the Hubb Community Kitchen, preparing a Thanksgiving meal for those affected by the 2017 Grenfell Tower Fire. Before their little one is born in the spring, the couple is also in the middle of a move from Kensington Palace. They plan to shack up in the Frogmore Cottage in Windsor, England. Sounds very “modern fairytale” doesn’t it?